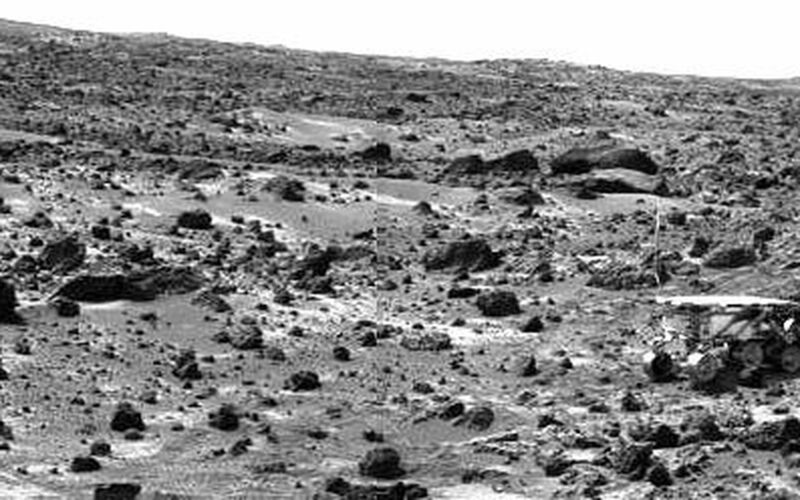 This image taken on the morning of Sol 80 (September 23) shows the Sojourner rover with its Alpha Proton X-ray Spectrometer (APXS) deployed against the rock "Chimp." 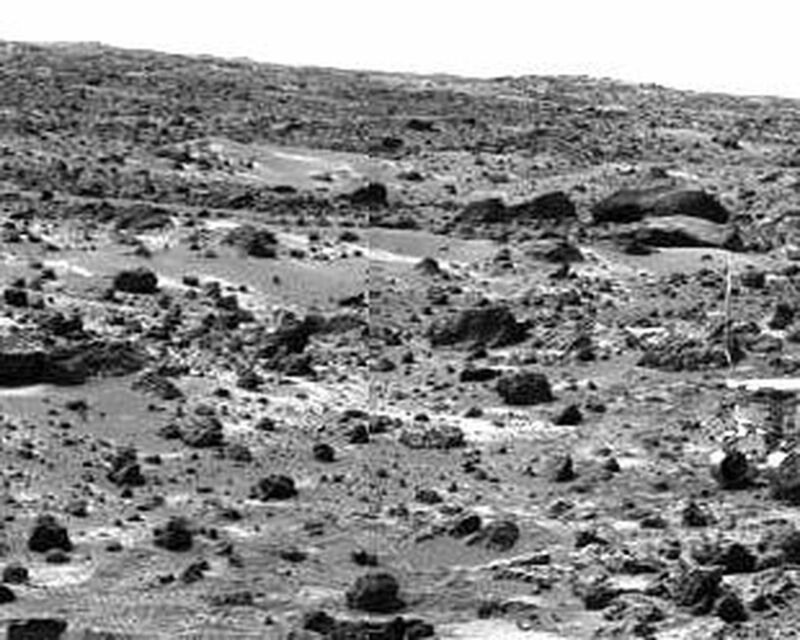 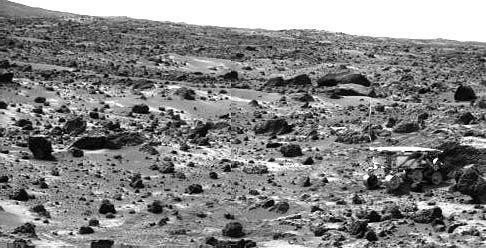 On the left horizon is the rim of "Big Crater," 2.2 km away. 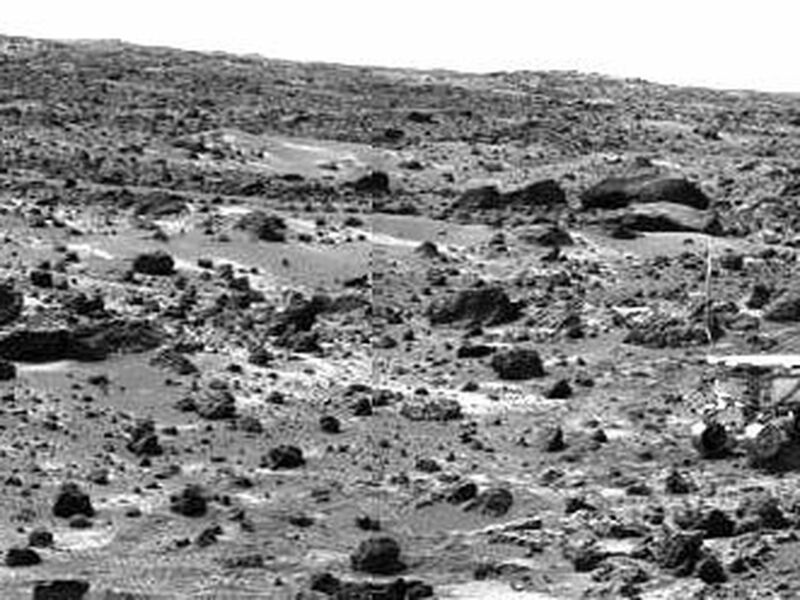 This image and PIA01585 (right eye) make up a stereo pair.